In a city like Kraków, at once beautiful and hedonistic, riddled with curious cafés as much as historically-rich architecture, where revellers party the night away under the looming shadows of fairy-tale gothic spires and medieval castles, and there’s never any shortage of things to do for the fun-hungry bachelorettes of the pre-wedding hen do, it should come as no surprise that more and more groups have been visiting every year, for that last blast before the big day. Companies organising the full-frills Kraków experience have popped up ad infinitum in the city; able to cater any calibre of hen weekend, to suit any style of hen do – from the energetic party animals that want to explore the sleepless nightlife of Kraków’s famous Old Town, to the chilled out city breakers that want sun, sightseeing, culture and unbridled relaxation. For the former, it will come as welcome news (or perhaps a hidden challenge) that most organised pub crawls in the city give discounts for ladies joining their ‘Power Hour’ of unlimited booze and subsequent alcohol fuelled tour of the city’s old town clubs. It’s also possible to organise vodka tasting sessions, to give a fully-fledged introduction to the export Poland is most proud of; there are loads to try as well – from the sweet nut Orzechówka, to the sharp, herb flavoured Żubrówka. In the day, Kraków is a picture of beauty both summer and winter, and hen parties often opt to just wander the city, or lay on the banks of the Vistula River in the hotter months to nurse their hangovers. One great way to really enjoy Kraków’s natural surroundings in a relaxing way is to take one of the organised river cruises that often go as far as Niedzica Castle, another fairy-tale sight nestled on a bluff above the Dunajec to the south. Other popular day trips include the city of Zakopane, Poland’s so called winter capital, and a major ski resort-come-summer mountain retreat that looks magnificent all year round, and the Wieliczka salt mines which are closer by. Spa and wellness packages are another favourite of the hen do tourist in Kraków who comes to take advantage of some seriously purse-friendly prices that can make the cost of treatments at home look nothing short of outrageous. From massages, to yoga sessions, Kraków has acquired a reputation of first class facilities in this sphere, and there are few treatments that aren’t available from at least somewhere in the city. In terms of accommodation, just like most things in Kraków, it’s easy to find for every budget and often startlingly good value for money. While most hen parties opt for something more up market than a hostel, these are perhaps the cheapest option and tend to be very high quality. Another option is a short term apartment rental, and these are also easily available. 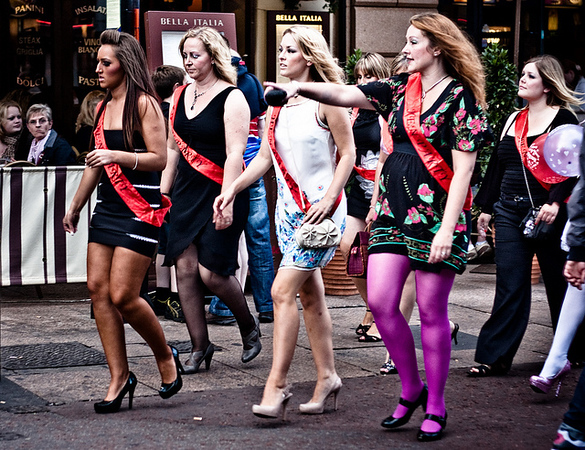 It’s recommended that for relatively short stays, like Hen Do weekends, location should be priority (so look for somewhere near or preferably in the Old Town area).